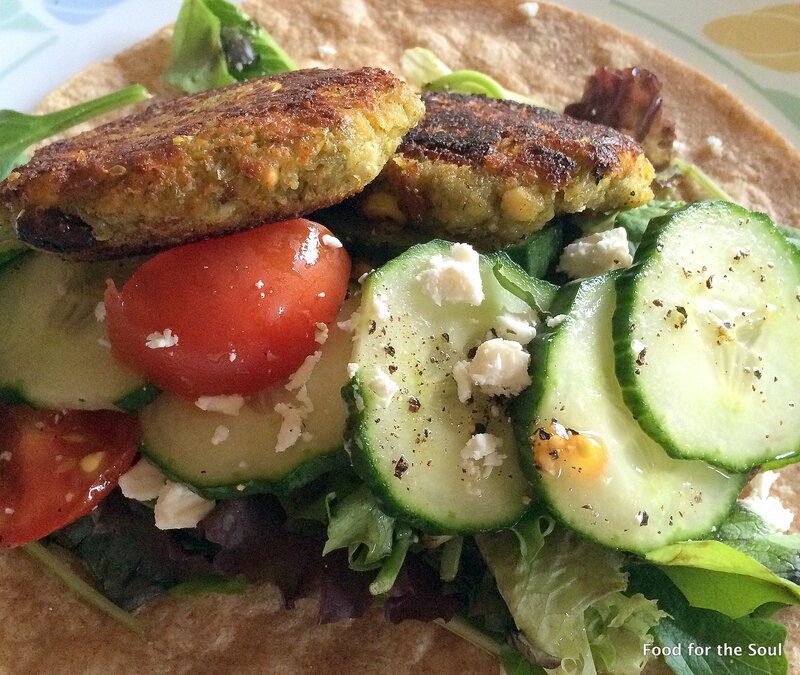 A quick and healthy Sunday lunch includes homemade falafel patties with crisp greens, cucumbers, tomatoes and feta on a whole wheat bread…. 1 tablespoon chickpea flour ( or corn flour) to bind everything together. Once the coarse dough is together, form small patties and pan fry in olive oil. 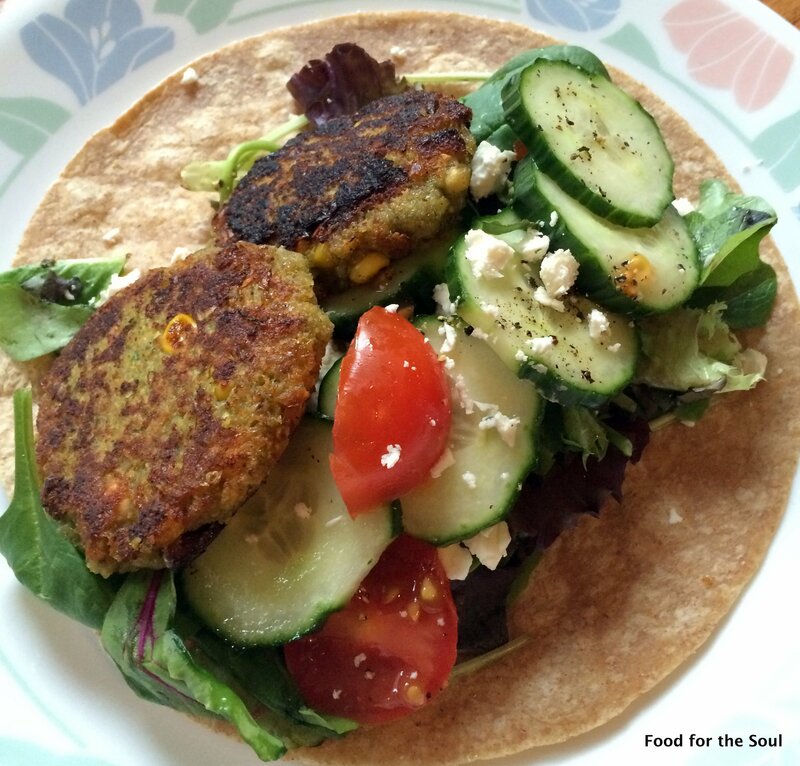 Assemble the sandwich with a layer of hummus, veggies, salt and pepper, feta and top with falafel patties. Yum!